Corporate Events | Exhibition & Trade Shows | Audio Visual Rentals | Manpower Solutions | Software Solutions Company In Delhi NCR, India. Yes, we have team of designers and design all our work in house. In busy periods we have design teams working for us part time. Can we provide our own design? No problem, our customers often send us designs or sketches and we are more than happy to work with them. All we ask is that you have permission to use the any designs we receive. Do you offer a full turnkey service? Yes, the core of our business is offering a full service to end users and agencies, we cover everything including design, manufacture, transportation, installation and even storage, we’ll also take care of the all the H& S paper work for the stand. : we’ll also take care of liasoning like permissions, approvals etc between organizers and exhibitors for the stand.. Yes, we have our own workshop and a team of permanently employed carpenters, painters and electricians. What will be the billing procedure and payment mode? We accept payments in USD, Euro & INR. Billing & Payment terms are stated in our contract for each project. Do we have warehousing facilities? Yes we do have warehousing facilities. We can store the graphics for our clients. What is the turnaround time between finalizing a design and getting the delivery? It is difficult to put an exact number of days required to manufacture your exhibition stand once you finalise the design. The timeframe depends on many factors such as complexity of design, the number elements, the size of the stand, the type of material used in the exhibition stand etc. We can safely say that to manufacture and deliver a simple modular exhibition stand we need a turnaround time of 10 days at a minimum. The 3D designers and creative team of booth design specialists at Beyond Frame would love to hear from you. Call us right away should you need the help of experts to give your booth a visually striking look and feel at the next trade show or exhibition you attend. Can we order our own electrics and/or carpet? Yes, no problem. We will also help and advise you wherever we can and in the case of electrics we will even prepare a plan for you. Do you supply stands on a hire only basis? Yes we do, most of our systems are easy enough for the average, practical person to set up. If we only need furniture, can you provide that on rent? Yes we can provide furniture, what ever is your requirement, on rent. Do you provide Audio & Visual equipment on rent? Yes we can provide Audio & Visual equipment on rent, please give us your requirement 24 hrs in advance and we will be more than happy to help you out on the same. Our business has been built over the last 6+ years on repeat work so our exhibition stands have to be totally reliable and trouble free. Our display equipment is carefully sourced to offer the very best value for money and durability. For more information about our warranties, please contact us. Our trade show designs are carefully created and built so you have nothing to worry about. Do you offer services globally? Yes, we offer services in London, Poland, Germany, Singapore, Russia and UAE. We can assist you throughout the world at a variety of events and trade shows. 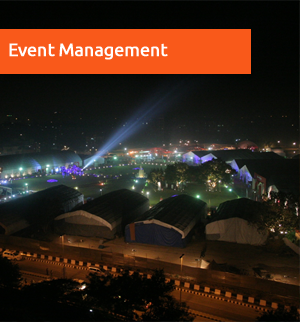 We can provide our services including all exhibition services on a worldwide scale. 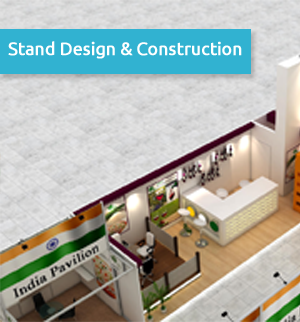 Our trade show designs and other exhibition services are available on a global scale. Do you help with logistics? Yes. We have services that will help you with and have services that will help you with, not only your exhibition design and build, but also with the logistics required to take part in such events. If you need an Exhibition Stand.